Hostal Brisas y Olas v San Juan Del Sur, Nicaragua: Zarezervujte nyní! 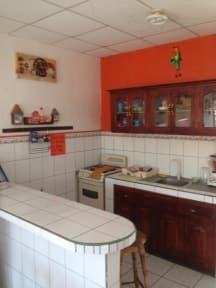 Hostal Brisas y Olas has a living room and a terrace for each floor, 24 h reception and satellite TV located in ground floor. 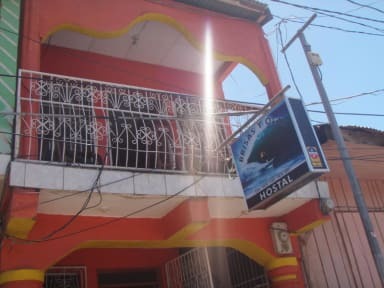 Hostal Brisas y Olas has 8 bedrooms, all with private bathrooms. We have 2 double bedrooms with air conditioning, 5 double bedrooms, 2 twin bedrooms and 1 triple bedroom. Debit and credit cards payment accepted.